MY CALL: Some people’s favorite and my least favorite of the franchise. In either case, I thought it was a lot of fun and recommend it to anyone who enjoyed either of its franchise’s predecessors. 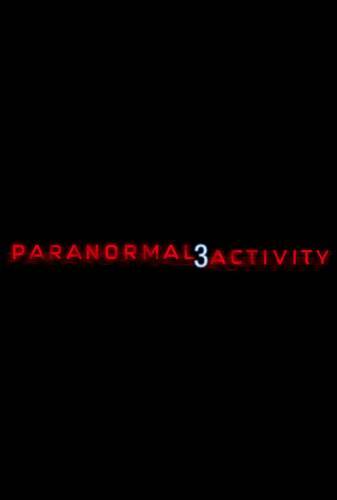 [B-] IF YOU LIKE THIS, WATCH: Well, hopefully you already saw Paranormal Activity and Paranormal Activity 2. Also, you’ll probably like White Noise. This third installment was my least favorite, but I can totally understand why it may be others’ favorite. While it still employed subtle moving objects, it did it less, instead relying on more mainstream devices to provoke scared jumps from the audience. It also borrowed more heavily from the Poltergeist movies than the first two—not that I minded. The characters’ investigation into the strange goings-on was more methodical and plot-driven. The first two were more event- driven and investigated more out of fear and curiosity. The differences between 3 and 1 & 2 were subtle, but numerous, chief amongst them being that “the paranormal” functions as a character in this movie, rather than a mysterious “force” in the first two. As such, the actions of “the paranormal” were more blatant and felt more like “it” was doing something “to someone” whereas in 1 & 2 it was more like “something was happening” to someone in a haunted house. The plot is simple. A family lives in a house. Weird things start happening. Step-dad starts putting cameras around the house. Things get weirder. And from there anything more would give too much away. But while the first two movies’ endings left us largely to wild speculation, I will say that this one ends with something of an explanation of the paranormal activity. It doesn’t really matter in which order you watch these movies. However, each sequel (or in this case prequel) was designed to mold over the events of the previous installment. So watch them in order if it’s convenient. I also demand you watch these with the lights off. It makes it easier to avoid distractions while you’re concentrating on the screen. By the way, remember this from the trailer? It didn’t happen in the movie! I agree, except I’d turn that ‘definitely better’ into an ‘absolutely better.’ Paranormal Activity 2 was the spooky, hand-held camera equivalent of Pirates 2….pointless, not loath-worthy, just blah. Also, though I didn’t think 3 was as scary (maybe because I saw it at a drive-in)- it was definitely more tense, lots of panning shots where absolutely nothing happens for minutes and you just wait…and wait…and wait for the spooky thing to occur and knock the popcorn right out of your buttery little hands. I’m particularly looking forward to PA4, it is all about pre-Salem witch trials and the story is told through sketches, because home video didn’t exist yet, obviously.